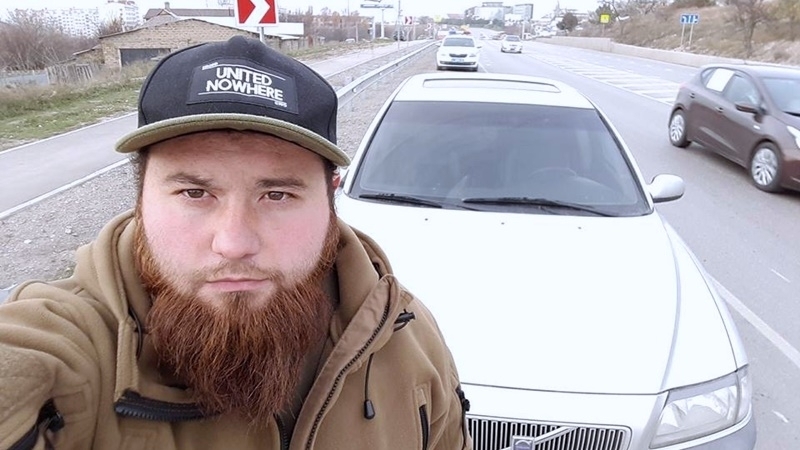 The activist connects the arrest of the car with his activities within the public movement "Crimean Solidarity"
In the occupied Crimea, the security forces arrested a car of the Crimean Tatar activist of the Crimean Solidarity, Alimdar (Ruslan) Belyalov, who was detained earlier in Simferopol. The activist informed on the incident on his Facebook page. “They [security forces, -Ed] were inclining me to go to the district department for explanation on the fact that the car was allegedly stolen. To which I said that I would not go anywhere until the lawyer comes. After speaking with lawyers, they stopped calling me to the office," he noted. The activist went on saying that he is linking his detention and the arrest of the car with his activities within the public association "Crimean Solidarity". Earlier, QHA reported that activist Ruslan (Alimdar) Belyalov was detained in Crimea. The official reason for the detention was a car hijacking. November 8, searches were carried out in the homes of Crimean Tatars in the Crimea, after which several of them were detained, and their phones were seized. In particular, security forces searched the activist Alimdar (Ruslan) Narimanovich Belyalov, who was fined for an active position and coverage of events in the Crimea (in particular, searches and detentions in Bakhchysarai on October 11, 2017). During the search, a large sum of money was seized from him, namely $ 3,000 and 60,000 rubles, which was done without drawing up an appropriate protocol. His phone was taken as well for examining contacts and correspondence.